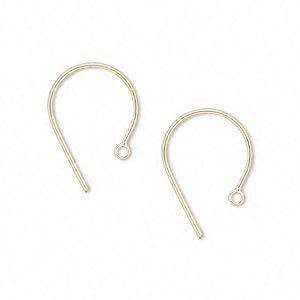 Ear wire, 14Kt gold-filled, 19mm oval with closed loop, 20 gauge. Sold per pair. Item Number: H20-9821FY Have a question about this item? 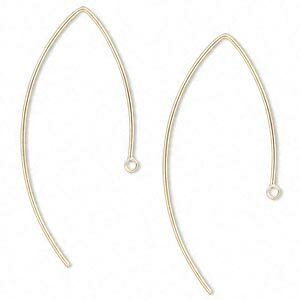 Smooth gold-filled ear wire components to expand your designing potential. Hand-soldered loops for hanging dangles and drops. Sizes, shapes and colors may vary with handcrafted items. 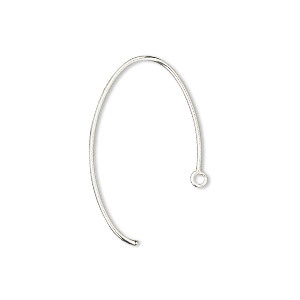 Ear wire, sterling silver, 19mm oval with closed loop, 20 gauge. Sold per pair. 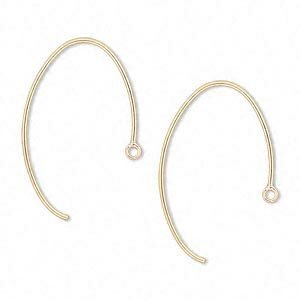 Ear wire, 14Kt gold-filled, 19mm textured flat oval with closed loop, 20 gauge. Sold per pair. Ear wire, 14Kt gold-filled, 17mm oval leverback. Sold per pair. 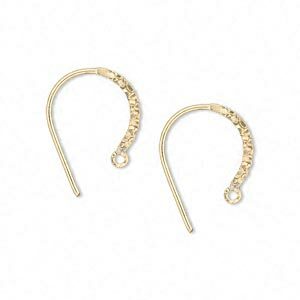 Ear wire, 14Kt gold-filled, 16mm French hook with closed loop, 20 gauge. Sold per pair. 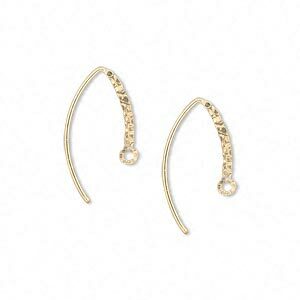 Ear wire, 14Kt gold-filled, 20mm marquise with closed loop, 20 gauge. Sold per pair. 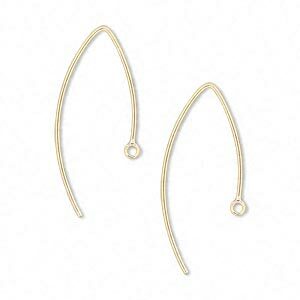 Ear wire, 14Kt gold-filled, 24mm smooth marquise with closed loop, 20 gauge. Sold per pair. 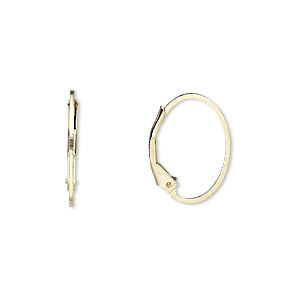 Ear wire, 14Kt gold-filled, 16mm marquise with closed loop, 20 gauge. Sold per pair. 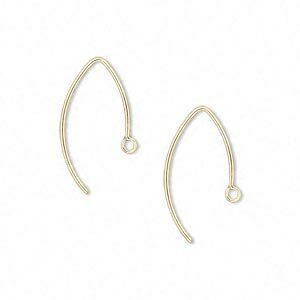 Ear wire, 14Kt gold-filled, 20mm textured flat marquise with closed loop, 20 gauge. Sold per pair. 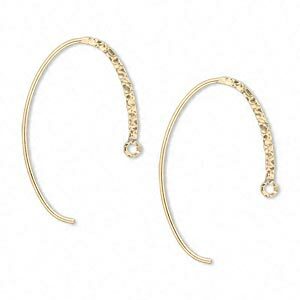 Ear wire, 14Kt gold-filled, 16mm textured flat round with closed loop, 20 gauge. Sold per pair. 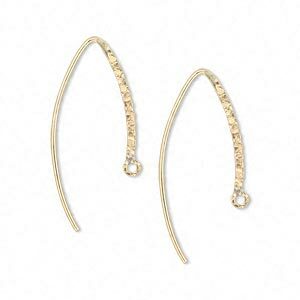 Ear wire, 14Kt gold-filled, 16mm textured flat marquise with closed loop, 20 gauge. Sold per pair.